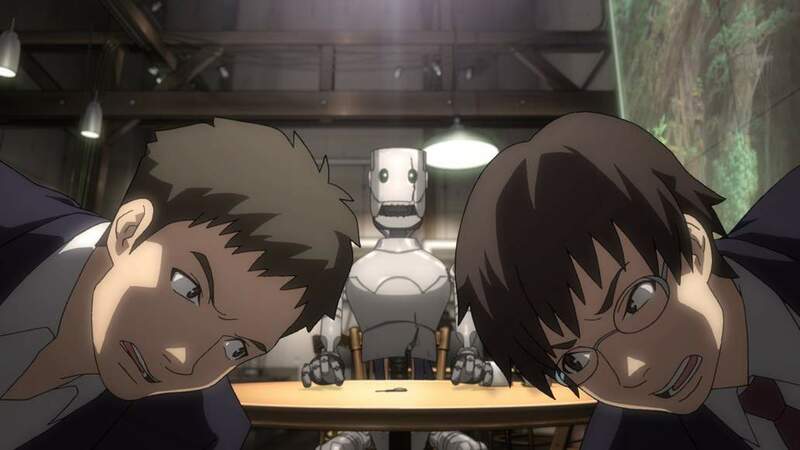 “Eve No Jikan” or “Time Of Eve” is an anime mini-series created by Yasuhiro Yoshiura. It comes in 5 easily digestible 15 minute episodes plus a half hour finale. My first thoughts about “Time Of Eve” go a little something like this: at first glance the artwork is fresh and edgy; the story is easy to relate to, even if it’s been done before; and the two main characters are straight out of your old (or maybe current) high school. Pretty cool stuff. The concept is simple: man and machine coexist in a society very much like our own. Machines have evolved into androids and must respect Dr. Asimov’s Three Laws*. They now belong to an entire new caste, one that is deemed inferior to ours and are easily distinguishable from their human counterparts because of a glowing, floating halo-type ring above their heads. Tension, intolerance and racism have become part of everyday life due to the widespread increase of android usage. 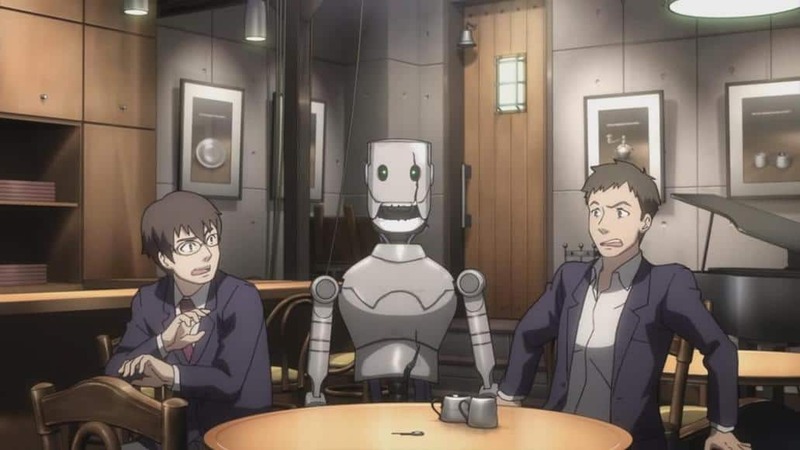 After connecting the dots, they are shocked to discover the Time of Eve, a unique café that strives to treat both android and human customers alike. It’s there that our fearless duo makes the acquaintance of young, energetic and suspected dori-kei** Akiko. 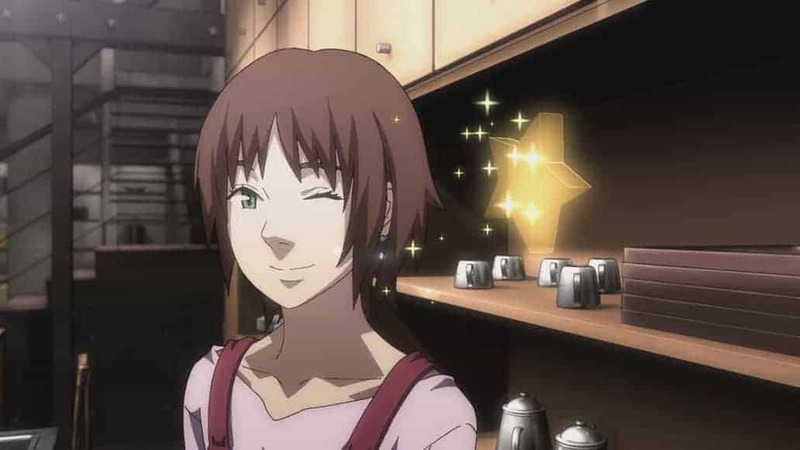 She, apparently, likes coming to this establishment to socialize and learn more about the inherent differences between humans and androids. The next day, Rikuo’s mind is working overtime to figure out if indeed, androids are worth getting to know at all. Could they be hiding more than what we see on the surface? What if androids were capable of feeling and thinking for themselves? Will curiosity force him to challenge his own notions about property, ownership and individuality? Yasuhiro Yoshiura polished a real gem with great voice-overs and some very good storylines. The series is infused with this refined sense of humour that prevents it from ever feeling too drab or dreary. And when it decides to tug at your heartstrings, it pulls that off incredibly well too. I fell in love with “Eve No Jikan” in about five minutes flat. There’s something in here that resonates with me. I find the whole idea very smart and the characters very familiar, like actors I’d seen before in movies I liked. I really dug the vibe. It made me think. It made me laugh. I just couldn’t stop watching. **Dori-kei: A human obsessed with androids. Someone who treats androids like people. An android-holic.